Indian Ambassador to the UAE, Navdeep Singh Suri, told a newspaper that in about 792 inquiries about the employment offers, only 66 were genuine. These are the records of only between January and June 2017. 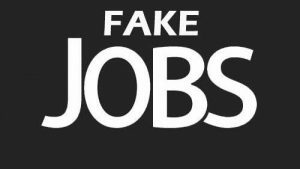 More than 700 fake jobs were offered to the Indian citizen in the past 6 months. There have been an increasing number of fake employment offers made to Indian Citizens. Suri said that hundreds of inquiries are received at the Indian Workers Resource Centre (IRWC) from Indian citizens outside of UAE. The IRWC is the welfare arm of the Indian embassy. It checks the jobs using its resources and verifies the authenticity of the offer. The envoy said that job seekers from India are lured with attractive pay packets. Most of these are bogus jobs. However, he said that now Indians are first checking with the IRWC before accepting the offer. They trust the embassy on this. The embassy first checks the visas that are sent by the job seekers from India and verifies if it is 100% authentic. How the fake recruitment occurs ? Conmen make fake websites and use logos of popular companies to lure the job seekers. These logos are of companies like Cleveland Clinic, ADNOC, etc. They also send fake offer letters to students from some reputed universities like Paris-Sorbonne University, Khalifa University, and Al Ain University. Then the naïve job seekers are given the contact details of a fake travel agency. They get a fake visa from the fictitious travel agency and are told to submit money up to Dh5000 as a reimbursable fee. The offer letters, with the logo of the company and the HR head signature, look so genuine that is hard to differentiate real from the fake. The pay packets are too good to be true. In many cases, people are offered job through email without even applying for it. The job letters must be sent to the embassy for verification. To make people aware they have spread out alerts on social media websites. If you get a similar job offer or visa, verify it by emailing the offer letter at help@iwrcuae.in.